Start your dance journey with MJDS today! Contact us to register your details for a FREE information pack! 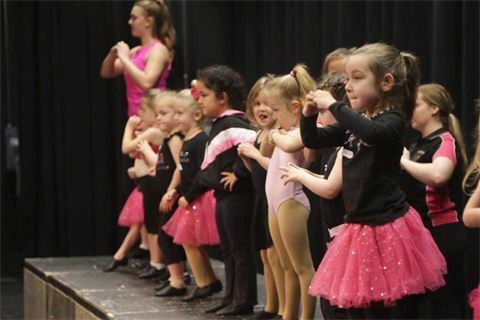 Our Tiny Twirlers classes are 30 minutes of engaging lessons where we encourage students to use their imagination and playfulness to learn the fundamentals of dance and movement, with our main focus on FUN! This class is also great for our littlies to learn to be in a class environment, develop their focus and listening skills, learn to take turns and as in any class at MJDS, make new friends! BONUS – Tiny Twirlers receive a special MJDS Tiny Twirler dance uniform! Our Petite Feet programs are designed with a child’s mind at heart, considering their eagerness to learn and enabling them to flourish within each class. Our combination classes (Jazz and Ballet, Hip Hop and CheerDance) consist of 2 different genres that complement one another, exposing students to a diverse range of dance steps, styles, technique and music. Our Tap and Tiny Tumblers classes allow us to focus on the one single style, as they have very specific technique that is built upon and developed over time. As students graduate from one age group to the next, they will do so with confidence and ease as the progressions of our class focusses, such as technique and artistry, flow seamlessly throughout the groups. We also offer our Petite Feet students opportunities to join our Competition Tiny Dance or Cheer Teams! Check out our competition packs for more information on how to join a team today. If your child hasn’t danced before, we recommend starting with one of our combination classes, which will provide variety and a great introduction to dance. At this age, we also recommend that students wishing to partake in more than 1 weekly lesson do so on different days, and therefore do not encourage back-to-back lessons on the same day. If you would like you child to do more than 1 class per week, all you need to do is add on the lower price of $66 per month per additional class, which ensures you don’t double up on items such as the concert shirt and annual registration. ** We also have our non-concert Tiny Tumblers class on Thursdays at our Wallsend Studio from 3.30 – 4.00pm. Our Junior Jiver programs are designed with a child’s mind at heart, considering their eagerness to learn and enabling them to flourish within each class. Our combination classes (Jazz and Ballet, Hip Hop and CheerDance) consist of 2 different genres that complement one another, exposing students to a diverse range of dance steps, styles, technique and music. 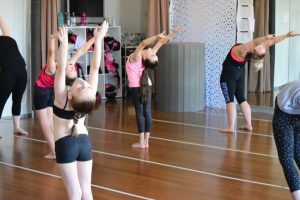 Our Tap and Kindy Acro classes allow us to focus on the one single style, as they have very specific technique that is built upon and developed over time. We also offer our Junior Jivers opportunities to join our Competition Dance or Cheer Team or Performance Teams!! Check out our competition and performance packs for more information on how to join a team today. If you would like you child to do more than 1 class per week, all you need to do is add on the lower price of $73 per month per additional class, which ensures you don’t double up on items such as the concert shirt and annual registration. ** Mini Cheer Competitive Team is also available for this age group. Our Tweens programs are designed with a child’s mind at heart, considering their eagerness to learn and enabling them to flourish within each class. Our combination classes (Jazz and Ballet, Hip Hop and CheerDance) consist of 2 different genres that complement one another, exposing students to a diverse range of dance steps, styles, technique and music. 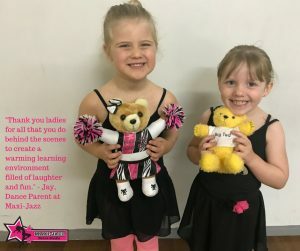 Our Tap and Kindy Acro classes allow us to focus on the one single style, as they have very specific technique that is built upon and developed over time. We also offer our Tweens opportunities to join our Competition Dance or Cheer Teams or Performance Teams! Check out our competition and performance packs for more information on how to join a team today. If your child hasn’t danced before, we recommend starting with one of our combination classes, which will provide variety and an great introduction to dance. If you would like you child to do more than 1 class per week, all you need to do is add on the lower price of $73 per month per additional class, which ensures you don’t double up on items such as the shirt and annual registration. **Acrodance is part of our mighty program ; designed for students age 7+ therefore including our Tween age group. The monthly fee is $96 ** NC: Non-Concert Class – $65 monthly fee includes 1x weekly class tuition. Non-Concert classes are in addition to any concert class and cannot be taken as a stand alone class. Our Youth programs offer combination classes and single-style classes. Combination classes consist of 2 different genres that complement one another whilst allowing exposure to a diverse range of dance steps, styles, technique and music. Our single-style offerings are Tap, Ballet and AcroDance. 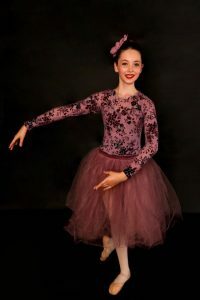 Our lessons allow students to really grasp the correct terminology, technique and skills required from each genre and prepare the dancer for whatever path they may choose. 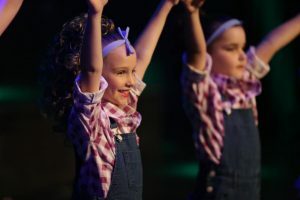 They’ll have a solid core foundation to pursue their dance career as a performer or teacher, as well as learn life skills that apply to every aspect of life such as time management, respect, hard work, commitment, confidence and social skills. We also focus on promoting an active and healthy lifestyle. We also offer our Youth students opportunities to join our Competition Dance or Cheer Teams or Performance Teams! Check out our competition and performance packs for more information on how to join a team today. If you would like you child to do more than 1 class per week, all you need to do is add on the lower price of $80 per month per additional class, which ensures you don’t double up on items such as the concert shirt and annual registration. ** NC: Non-Concert Class – $65 monthly fee includes 1x weekly class tuition. Non-Concert classes are in addition to any concert class and cannot be taken as a stand alone class. Our Preteen programs offer combination classes and single-style classes. 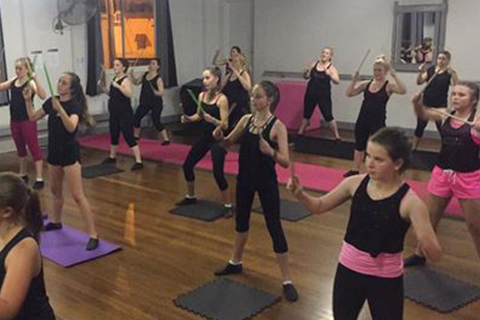 Combination classes consist of 2 different genres that complement one another whilst allowing exposure to a diverse range of dance steps, styles, technique and music. Our single-style offerings are Tap, Ballet and AcroDance. We also offer our Preteens opportunities to join our Competition Dance or Cheer Team or Performance Teams!! Check out our competition and performance packs for more information on how to join a team today. If you would like you child to do more than 1 class per week, all you need to do is add on the lower price of $80 per month per additional class, which ensures you don’t double up on items such as the shirt and annual registration. Our Inter programs offer combination classes and single-style classes. Combination classes consist of 2 different genres that complement one another whilst allowing exposure to a diverse range of dance steps, styles, technique and music. Our single-style offerings are Tap, Ballet and AcroDance. We also offer our Inters opportunities to join our Competition Dance Teams or Performance Teams!! Check out our competition and performance packs for more information on how to join a team today. Our Senior programs offer combination classes and single-style classes. Combination classes consist of 2 different genres that complement one another whilst allowing exposure to a diverse range of dance steps, styles, technique and music. Our single-style offerings are Tap, Ballet and AcroDance. We also offer our Seniors opportunities to join our Competition Dance Teams or Performance Teams!! Check out our competition and performance packs for more information on how to join a team today. If you would like to do more than 1 class per week, all you need to do is add on the lower price of $80 per month per additional class, which ensures you don’t double up on items such as the shirt and annual registration. Our Adult programs offer combination classes and single-style classes. Combination classes consist of 2 different genres that complement one another whilst allowing exposure to a diverse range of dance steps, styles, technique and music. Our single-style offerings are Tap, Ballet and AcroDance. 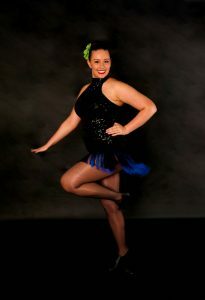 We also offer our Adults opportunities to join our Competition Dance Teams or Performance Teams!! Check out our competition and performance packs for more information on how to join a team today. Enrol online now for our 2018 dance season! Our Mini Tap classes are stand alone classes that are based off the LGTDA (Les Griffith Tap Dancing Association) Syllabus which we teach throughout our studio. Whilst these classes are based on the student’s age, our qualified teachers are able to adapt lessons to meets all students skills and technical abilities and progression as well as challenging students with its intricate rhythms and combinations. During the year, all tap students will learn the age appropriate LGTDA Syllabus exam work, to which they have the option to participate in 2 examinations per year, one at the end of Term 2 and one at the end of Term 4. This may however require private lessons to ensure the student is prepared to which your class teacher can advise on this. Tap students will learn 2 tap routines to perform at our end of year concerts. During the year, all tap students will learn the Bronze / Silver LGTDA Syllabus exam work, which consists of barre and centre, arm rhythms and tap theory. Our students are then able to take part in 2 examinations per year, one at the end of Term 2 and one at the end of Term 4. Participating in these exams is optional for all students however not only is it already included in your monthly all-inclusive pricing but we highly recommend this experience for all our mighty students. Students will be able to participate in exams for these if they choose (to be taken in Terms 2 and 4- costs are included in the all-inclusive monthly fee). This class is designed for students in our Junior Jiver classes upwards and is ideal for any aspiring dancer! Every student that takes part in this class will notice a dramatic improvement in all dance styles. Our technique class will help develop, continually improve and maintain their technique and posture, as well as tone dancers and help them build strength and flexibility. 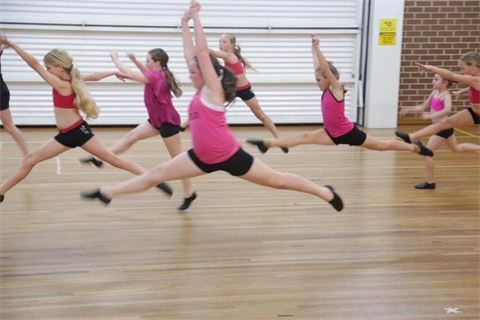 All technique classes consist of ballet elements including barre and centre work, and will continue to broaden their knowledge and progressions for jumps, leaps and turns, as well as students learning and working on how to become more flexible and how to stretch properly and safely and the importance of warming up before exercise and cooling down afterwards. They learn to develop their core strength and how to use their flexibility in the correct way when dancing or performing tricks. Believe it or not there is a difference between Cheerleading and Pom! Cheerleading consists of stunts, tumbling skills, chants and a small dance section. Pom has the technical dance skills and is a dance based routine using the cheerleading clean and strong arm motions and jumps with the use of poms. We’ve created a class that has both, with a small variation on the cheerleading aspect due to the tumbling and stunt skills set required. Students will still learn the foundations of both Cheer and Pom and will be able to learn a routine of each. Much like our comp teams this class is full of fun, however is very physically demanding on the body and requires full attendance and commitment, strength and confidence to ensure everyone in the class is learning and progressing together and that students and skills are able to be executed each and every week. But don’t let this intimidate you, it’s also very rewarding, full of new things to learn and promotes great team building! This combination class will expose students to a range of techniques relevant to Jazz and Lyrical. Jazz dance can incorporate a range of dance styles, often depending on the era of the music being used. Often, the traditional technique of Jazz dance is then given a modern flavour. At times, we celebrate past dance movements and fashions by creating period pieces, based off popular dance from that era. It can be almost anything, and our students love the variety that Jazz offers! Lyrical is an expressive form of dance that can incorporate elements of Jazz, Ballet and Acro, and is often associated with clearly displayed emotional moods and reference to song lyrics. Lyrical is always beautiful to watch, and our students love expressing themselves in this way. Students will learn one Jazz dance and one Lyrical dance to perform at our end of year concert. This combination class will explore the movements and techniques relevant to both Hip Hop and Contemporary dance. Hip Hop is fast-moving and energetic, with focuses on such techniques as breaking, popping, tutting and whacking (you’ll have to come to class to find out what those are!). It looks simple when performed but takes work to perfect! Our students love performing Hip Hop as its high energy moves make it lots of fun. Contemporary dance can take many forms. It is not mainstream and can often challenge an audience to interpret the dance and draw their own conclusions about the meaning. It is very expressive and can also be a lot of fun to perform as students explore emotions and convey these through a range of movements. 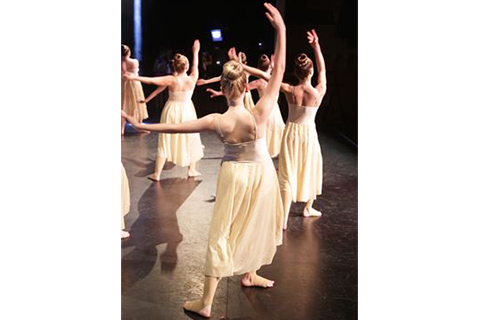 Contemporary dance allows students a method of communication of feelings and emotions other than the use of speech. Students in this class will learn one Hip Hop dance and one Contemporary dance for our end of year concert. Our Tiny Tumbler class follows the Acrobatique Program in which students aged between 3 and 5 will develop the strong foundational skills, knowledge base, and appreciation of AcroDance that will be of benefit to them no matter what their future path may be – all while done in a safe, challenging, and very fun environment! At the same time, children will learn how to be in a class, develop their focus and listening skills, and learn co-operative skills all whilst making new friends. 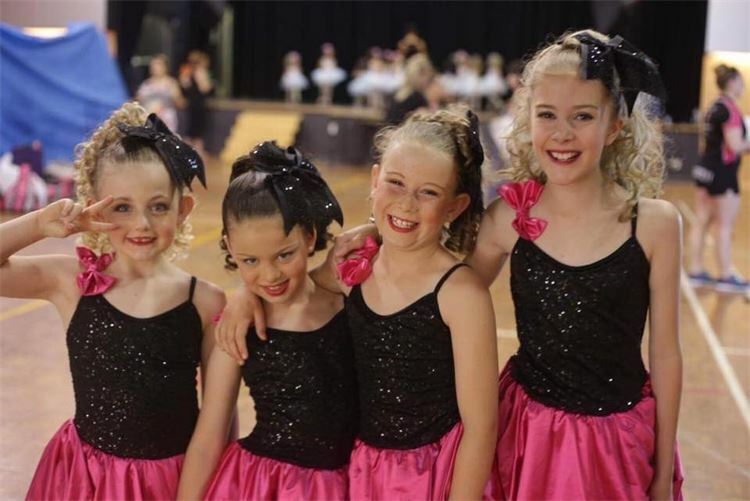 Our Tiny Tumblers will love presenting their skills and combining them with dance moves to create a show-stopping routine to perform at our mid-year showcase and annual concerts. Students will receive one costume for their concert performance along with one ‘Safe Parent Spotting Workshop’ throughout the year so your child can continue to practise and develop their skills safely at home. 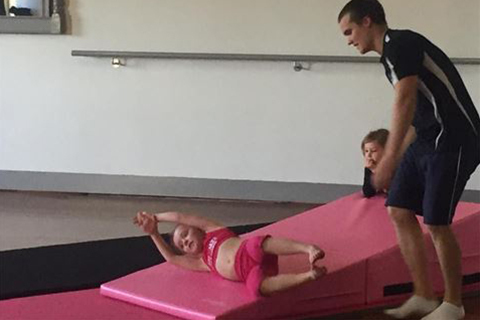 Our Kindy Acro class follows the Acrobatique curriculum which builds on the same foundational skills, knowledge base and appreciation for AcroDance that our Tiny Tumblers receive as well as the developmental steps that follow into our AcroDance program. 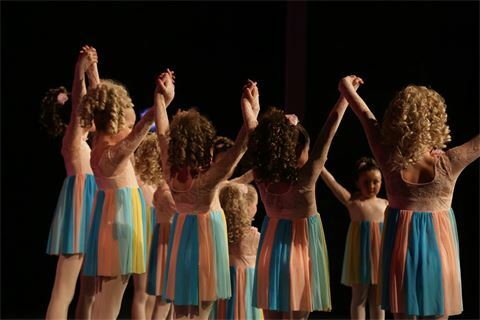 Our Kindy Acro students will love presenting their skills and combining them with dance moves to create a show-stopping routine to perform at our mid-year showcase and annual concerts. Students will receive one costume for their concert performance along with one ‘Safe Parent Spotting Workshop’ throughout the year so your child can continue to practise and develop their skills safely at home. Our AcroDance Students will love presenting their skills and combining them with dance moves to create a show-stopping routine to perform at our mid-year showcase and annual concerts. Student will receive one costume for their concert performance along with one ‘Safe Parent Spotting Workshop’ throughout the year so your child can continue to practise and develop their skills safely at home. 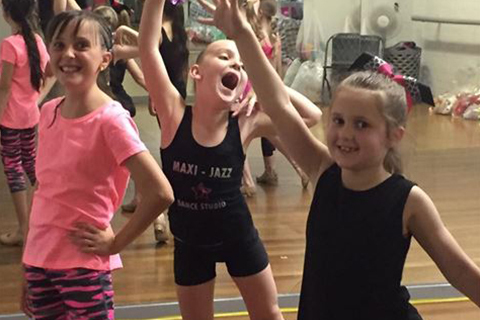 Enrol online now for our 2019 dance season!